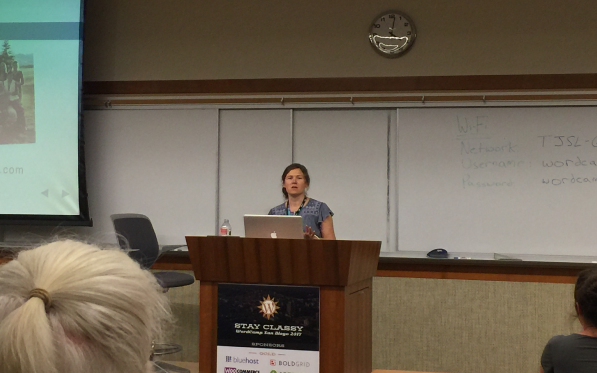 I had the privilege of speaking at WordCamp San Diego this past weekend. 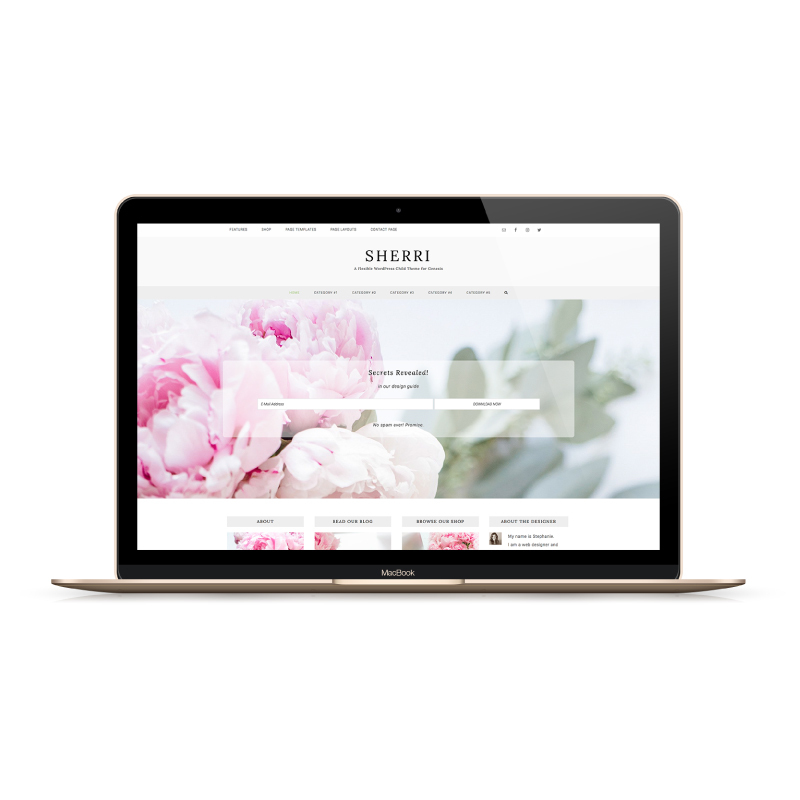 Since I am the support manager for Restored316 and for my own line of Premium WordPress themes it was natural to share a bit about Support with the WordPress community. For those of you who were not able to attend the event or missed my talk on 10 Ways to Provide Great Support I will share a bit here. If you would like to download a pdf of my slides you can do that here. What exactly is Great Support? Whether you sell a product or provide a service you must think about how you are supporting your customers. We all want to increase our bottom line, and how you support your customers will directly affect your future business. Think about how you feel when you purchase a product. . . if you have a good experience not only will you consider purchasing from that company again but likely you will tell your friends about the company too. The opposite is true as well. When you launch a custom WordPress website, do you provide videos on how to use the new site? Maybe you offer a live one on one training or email a pdf they can reference as they become familiar with the features they will become accustom to using. If you sell a plugin or theme, do you write documents on how to use the product? Do you write instructions a total beginner could follow? Do you include video, and bullet points so the information is easy for all learning styles to absorb? It is also important to make the documentation easy to find. You might consider using email sequences to automatically send a link to the product documentation in a thank you letter. Think about where your customers will look for the information. Place a link to the product documentation before the form to submit a support ticket. Don’t make them search for what they need to set up and use your product, place it in easy to find locations. Ask for information you will need up front to avoid unnecessary back and forth that ends up creating frustration and wasting time. When thinking about supporting your customers keep in mind we all learn differently. Use video to demonstrate exact steps in short digestible segments. Write tutorials for those who want to read the how’s and why’s in detail. Keep in mind as you write tutorials to break up any lengthy instructions with bullet points and use screenshots to help clarify your process. If your set up includes code, consider using GitHub to make it easy for your customers to copy and paste code. 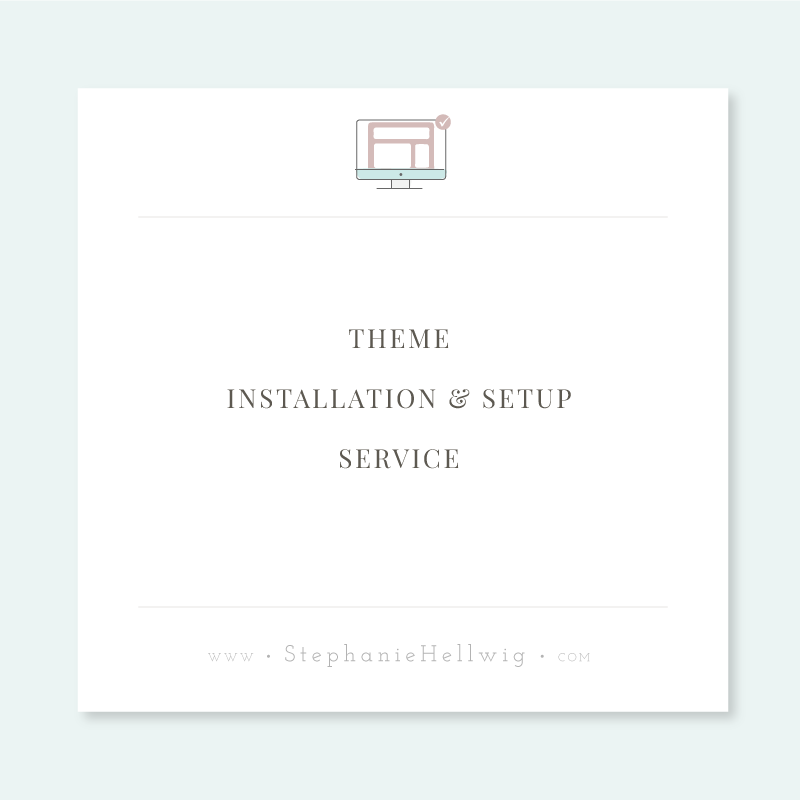 You may consider some online services that are pros at facilitating a support ticket process. I really like to use helpscout and there are some other good ones out there, zendesk and freshdesk to name a few. Helpscout has a great blog with a lot of articles that you may find helpful. These companies spend a lot of time perfecting the support desk process and building a great way to collect data and help your customers. The list could go on quite a bit here, but you get the idea. I also like to organize my saved replies by product. So I will often write in all caps the name of a product and then the common question I get for that product. By doing this I can type a few letters of the product name and the full list of common questions comes up. Now that you have your saved replies set up. . . use them! It is tempting to just begin to write out a response, but use the saved replies so you can answer quickly and effectively. I often hear designers and developers say they have products created and sitting on their hard drives because they don’t want to deal with support. They either don’t want to learn all that it takes to facilitate supporting their product or they are afraid of the commitment to answering support questions and feeling like they are giving too much. Set some boundaries on what you will support. Think about a reasonable way to offer support to your customers then stick to that boundary. Make it clear and place it right on your product pages. If your customers feel confident that you will be there if you need them they will be more likely to purchase from you. When you set clear boundaries and make them obvious you are being upfront and honest and creating a benchmark for your support commitment. Remember to always “kill em’ with kindness”. Diplomacy and kindness can turn a frustrated and upset customer into a loyal customer for life that will tell all their friends how awesome you and your products are. I know I already mentioned that you need to remember kindness is always appropriate, but I can’t stress this enough. There have been countless opportunities to assist a struggling customer that just feels like they are getting no where and wasting precious time and by being patient and kind we can solve the issue at hand and the result is a happy customer. Never speak in a condescending tone, no one wants to feel dumb. Try to be positive and think in terms of educating. Try to remember when you were a beginner and how that felt. Your customers will never forget how you made them feel. I included one of my favorite tickets in the pdf of my slides, it was from a customer that was just at her wits end! She was so frustrated she didn’t even think about what she was writing. This solution was actually a very simple fix and because I completely ignored the rude tone and answered with kind, positive words she ended up thanking me profusely. I gained a loyal customer. Leave all the troubleshooting and investigating to last. Any tickets I have to inspect code or log into their dashboard are where I spend the most time. Also, I might add at this point if I spend some time troubleshooting I will create new saved replies to save time in the future should the same issue arise. If I see a question more than 3 times I create a saved reply. One important point to note is that we often look at support as a necessary evil. It is the drudgery part of selling our product. We need to change this attitude! Support is helpful for so many reasons. One important thing that supporting our product does for us is that it offers us data. We can examine the data we gather from our support efforts to help us determine what we can do to improve our product. Is there a question that keeps coming up? How can we either improve our product or offer guidance to minimize that specific issue? How much time are we spending answering tickets for a specific product, where can we make adjustments to change this? Look at your support desk as market research! While you are making your customers feel satisfied with your product you are also gaining the necessary details you need to improve your product line. Another thing support can do for you is it can help identify issues. When there is a WordPress update or plugin update and something goes awry, if you begin to see support questions regarding the issue you can make an announcement to your community and customer base to head up the issue before it is a problem for you. This will make your customers happy they purchased from you because you are on top of your game and able to help them avoid issues. Support is way to let your customers know about other products that you offer. Once a customer is familiar with how you work and happy with your product and/or services they may really like to know what else you offer. Doing a great job supporting your product or service builds customer loyalty. I hope I have helped you see the value in supporting your products and/or services. We really need to consider an attitude adjustment regarding support. We need to see supporting our products as an opportunity rather than a necessary evil. I really like the attitude that ManageWp, Automattic and other companies are beginning to adopt. . . customer happiness rather than support. When we focus on helping our customers be successful with our products and/or services while using the information to improve our products it is a win – win situation!